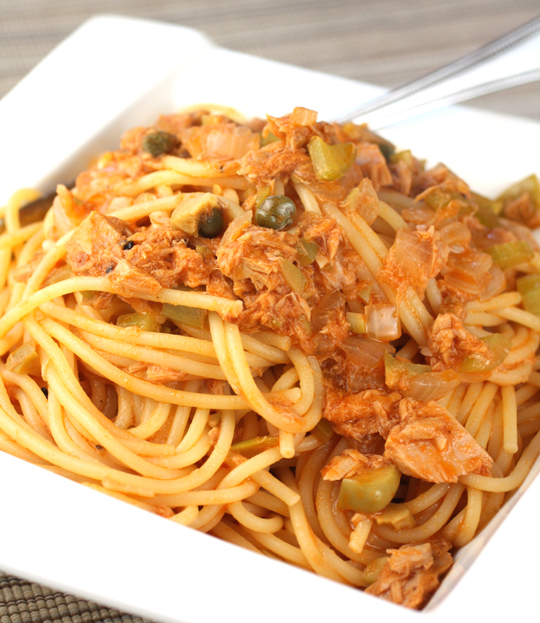 A canned tuna you can feel good about eating. 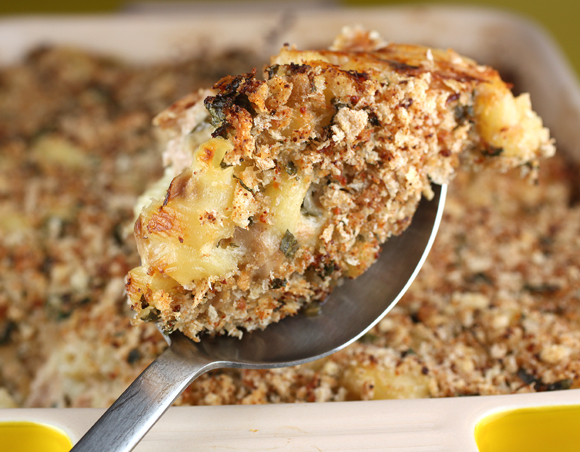 Our love affair with canned tuna has ebbed and flowed over the years. Beset by worries about mercury levels and unintended bycatch deaths of dolphins, Americans have cut back on their consumption recently. Still, it’s a good bet that there’s still a tin or two in our cupboards on a fairly regular basis because it’s hard to beat the convenience and versatility of the product. 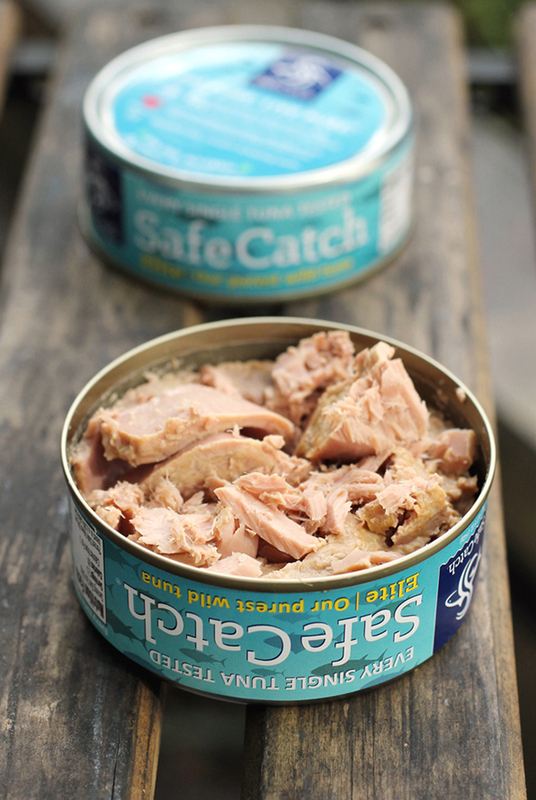 Sausalito’s Safe Catch Elite Tuna, though, makes it easier for us to enjoy canned tuna with fewer worries. Every tuna (albacore and skipjack) used by the company is tested for mercury, ensuring a limit of 0.1 parts per million which it touts is 10 times stricter than the FDA action limit. The tuna are wild, sustainably-caught, and additive-free. The fish are packed in BPA-free cans without any added water, oil or preservatives. In fact, the ingredients label on the can is as short as can be — just tuna and salt. You don’t even need to drain the can when you open it because there’s very little liquid in it. A 5-ounce retails for about $3.59. Find the tuna at stores such as Sprouts, Whole Foods, Mollie Stone’s, Lunardi’s, Draeger’s, and Zanotto’s. I had a chance to try a sample recently. With the exception of imported tuna packed in oil, I find most canned tuna to be pretty bland tasting. The Safe Catch Elite Tuna (skipjack) had a very deep, meaty tuna taste. It was not watery or salty in the least. It’s canned tuna you want to eat because it has good flavor, not just because you’re starving and it’s all you have in the house. I decided to try it in a recipe I spied in the New York Times. “Tuna, Chickpeas and Broccoli Salad” is by noted cookbook author Martha Rose Shulman. It’s a quick recipe — as fast as making a typical tuna salad sandwich filling. But more substantial because it also has chickpeas and broccoli florets mixed in. The recipe calls for low-fat yogurt. I used full-fat Greek yogurt, because that’s what I had on hand. It will make for a thicker, richer, tangier tasting dressing. But if you like your dressing on the thinner, leaner side, go for the low-fat yogurt. This chunky tuna salad is wonderful piled atop a bed of salad greens or stuffed into pita bread. For the Fourth, it would be festive mounded into avocado, papaya or tomato halves, too. 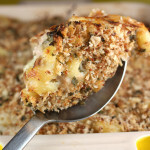 And if you make it with Safe Catch tuna, you can be sure you’re serving your guests doubly well. 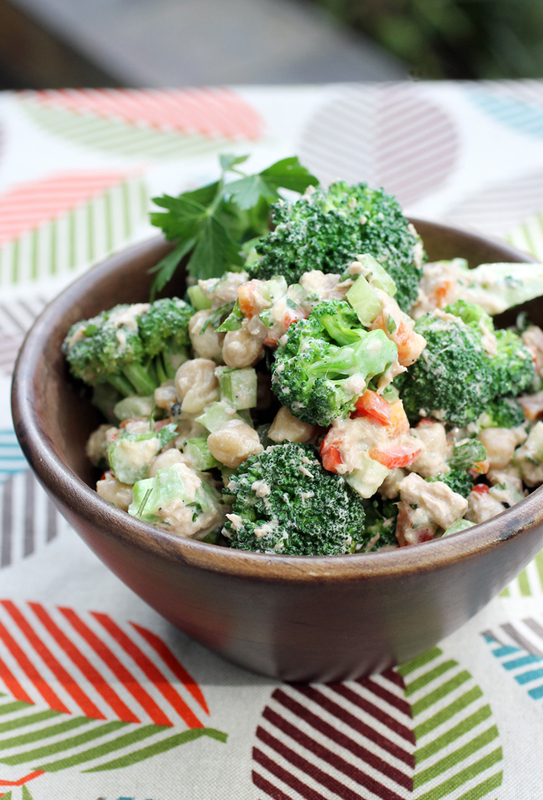 Tuna salad made hearty with broccoli, chickpeas and a tangy yogurt dressing. In a medium bowl, mix together the tuna, chickpeas, celery, bell pepper, parsley and chives. Keep the broccoli separate. In a small bowl or measuring cup, mix together the lemon juice, vinegar, salt, and Dijon mustard. 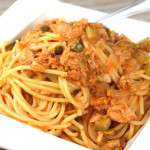 Whisk in the olive oil and yogurt, and toss with the tuna and chickpea mixture. Refrigerate in a bowl or in containers until ready to take to work or eat. Add the broccoli just before serving. Note: This keeps for 3 or 4 days in the refrigerator. But if you mix the broccoli into the salad to store, it will lose its vivid green color because of the acid in the dressing. That’s great they’re offering better tasting and safer options for tuna.